Finally, some good news for Samsung fans anxious to get their hands on the company latest flagship smartphone, the Galaxy Note 7. The South Korean handset maker has just confirmed sales for the phablet will resume in its home turf on October 1. By then, Samsung hopes to be able to replace more than 80% of the faulty Galaxy Note 7 units through the exchange program in South Korea. Aside from putting Galaxy Note 7 sales on hold almost a month ago, Samsung also dropped all TV ads until the exchange program will be successfully completed. Aside from the sales of the Galaxy Note 7, Samsung announced the it has decided to resume TV ads in South Korea beginning September 28. Also, customers who purchase the new, safe Galaxy Note 7 in October will benefit from 50% cut of any repair costs incurred for the display. Samsung formerly announced a massive Galaxy Note 7 recall and set up exchange programs for customers who purchased the faulty units. 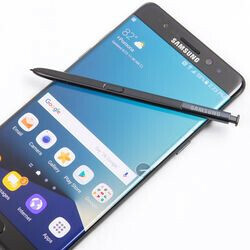 Depending on the market and carrier, consumers can either wait for a new Galaxy Note 7 replacement, switch to another Samsung smartphone, or even another brand. According to Samsung, around 2.5 million Galaxy Note 7 devices have been recalled. No less than 1 million phones were recalled in the United States and 60% of customers have already exchanged their Galaxy Note 7 units in just a couple of days after the replacements arrived in the country. 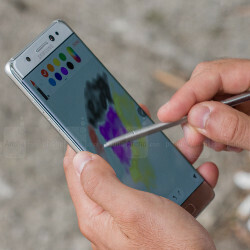 Europeans are a little bit behind with 57%, but the good news is most of the customers who purchased the Galaxy Note 7 will remain loyal to the brand despite the issues with the phone's battery cell. If explosion means best, then yep. 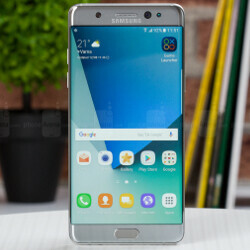 Samsung could release the Galaxy S8 earlier than usual next year according to this report http://techpathy.com/samsung-galaxy-s8-launch/ Would you wait for the Galaxy S8 or S8 edge, or would you buy a non-Samsung smartphone this year instead? On a side note "Samsung may have another explosion problem on its hands. Today, the Consumer Product Safety Commission announced that it was looking into some of Samsung’s top-loading washing machines because of “safety issues. The warning comes a few months after a class-action lawsuit was filed by customers who reported that their machines were exploding." Looks like the new exclusive S-Plode feature is spreading to all sammy trash. 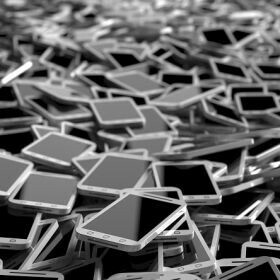 It spread from the washing machines to their phones as most of the reports seem to be from machines built 3-4 years ago. On a side note I just saw a tire blow out 2 lanes from me. Caused at least a 4 car accident. I hope everyone's OK. Yes I'm in a vehicle and no in not the driver. 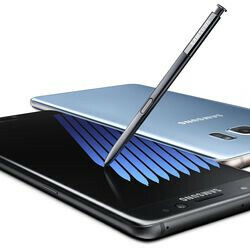 I was actually considering buying the Note 7 this year, I usually go iPhone but am not overly impressed with the 7. However I think I'll stick it out with my iPhone 6s plus and wait for the Note 8. 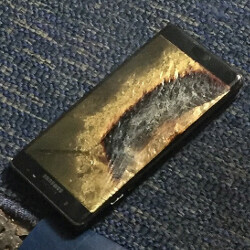 Im just not feeling very confident with Samsung fixing all of the issues with the Note 7 right now. They still make great phones, just not this one.